Mis Downing promotions is primed for a big year in 2018. The New Jersey based promotion staged it’s inaugural events in Pennsylvania and New Jersey in 2017, and already has four dates on the schedule for 2018. The 1st of those events will take place on Saturday night, March 10th at The Claridge Hotel in Atlantic City. The full card and ticket information for the March 10th show will be announced next week. 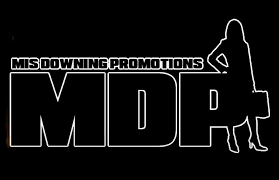 Mis Downing Promotions would like to thank their sponsors which includes The Atlantic City Boxing Hall of Fame, The Claridge Hotel, Fantasea Resorts, AEI Insurance, Urgent Response, HairX, Buy Smart Motors & New Vision Property Management.